Despite strong competition, the town of Nerja remains one of the most popular tourist destinations on the Costa del Sol. Once a sleepy fishing village, Nerja is one of the few places to have kept its traditional charm, with whitewashed houses, narrow streets and all the modern amenities you could hope for. Geographically speaking, you couldn't hope for a better location. Nerja sits at the mouth of the Chillar River and is wedged in between the Mediterranean Sea and the mountains of the Sierras de Tejeda. The name “Nerja” is derived from the word “narixa”, an Arabic term which translates to “bountiful spring.” The abundance of water in this area gives Nerja a tropical feel, a lushness that contributed to its significance in the sugar cane industry in the early 20th century. Here are some of our favourite things to do in and around Nerja. 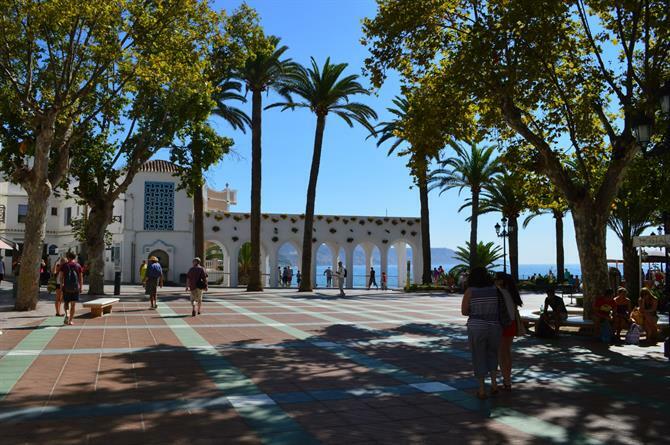 One of the most popular outings in Málaga. The Nerja caves were discovered in 1959, when a handful of boys from Maro found it by chance. They had inadvertently stumbled on one of the most important geological finds of our era. The Nerja caves are home to the world's largest column, it has held its place in the Guinness Book of Records since 1989 and the world’s oldest Neanderthal cave paintings - they were recently dated as being over 10,000 years older than the previous record holder. The recent discovery of Roman pottery, Moorish coins, and the presence of an unusual biodiversity have all confirmed that discoveries in the Nerja Caves are seemingly limitless and subject to incredible global speculation. The caves are roughly five kilometres in length and have several sections open to the public, visiting them makes a fascinating day out for the whole family. For more information on the Nerja Caves. There are two protected areas that sit right on Nerja’s boundaries. The Sierra de Tejada and Almijarra Natural Park and the natural area of the Acantilados de Maro-Cerro Gordo. They both provide some spectacular hiking. El Cielo, which translates appropriately to “Heaven”, is the highest coastal mountain in the area at 1,508 metres. A hike to the top will guarantee a buzz to your senses. The mountain is easily accessible and offers some truly breathtaking views of the surrounding countryside. 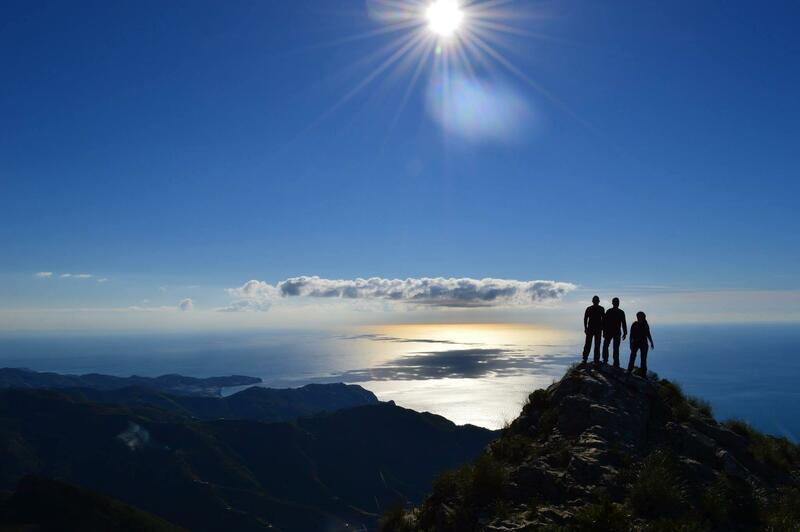 On a clear day, you’ll have unobstructed views of the whole of the Costa del Sol, all the way from Almunecar to Malaga, as well as all the major summits of the Sierra de Tejeda and the North African coastline. You need to be fit and take care, but hiking up El Cielo is one experience you’ll remember forever. For more information on hiking up El Cielo. 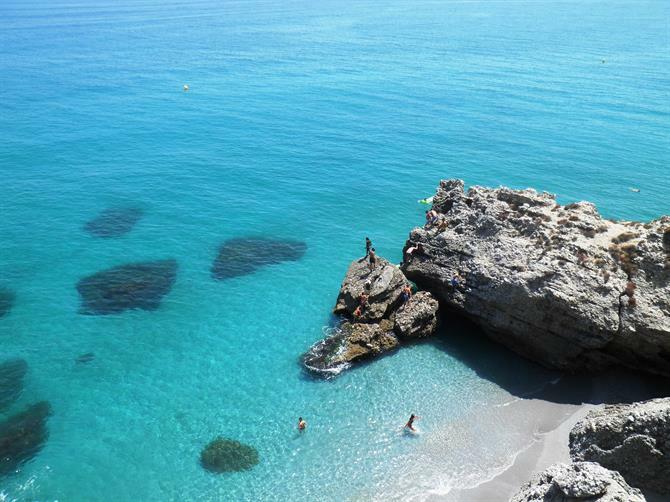 High on everyone’s wish list when visiting Nerja is a visit to one of the many beaches. Nerja boasts some of the best beaches on the Costa del Sol. From the long expanses of sandy beaches found on Burriana and El Playazo to the hidden cove-like beaches found in the neighbouring Acantilados de Maro-Cerro Gordo, Nerja has it all. There are twelve beaches that fall within Nerja's provincial boundaries with several more in the immediate vicinity that should be high on any visitor’s wishlist. For more information - see our guide to Nerja’s beaches. If you holiday in Nerja, you'll be visiting the Balcón de Europa. Nerja's most famous landmark and the focal point for most of the town's activities. A walk along the Balcón de Europa offers spectacular panoramic views of the whole coast. The best to be had in Nerja. For more information on visiting the Balcón de Europa. One of the most beautiful outdoor activities in the area (if not in the whole of Andalucia) is a sea kayaking trip from Nerja’s Burriana beach to neighbouring Maro. You pass through some of the most spectacular coastal scenery around, from Nerja's hidden beaches to turquoise water filled caves and huge waterfalls…...kayaking doesn’t come much better than this. For more information on - sea kayaking in Nerja. 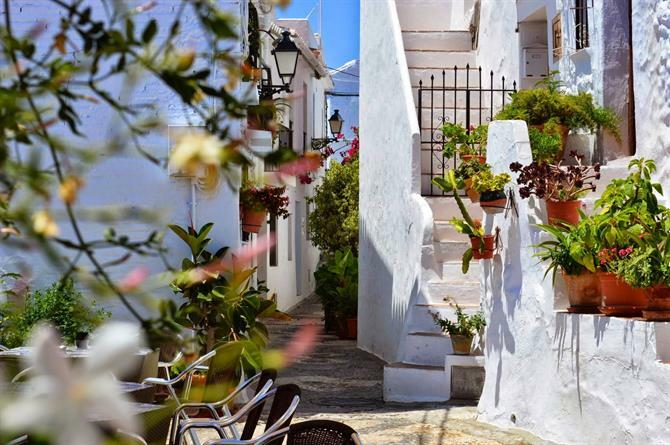 The white-washed village of Frigiliana is situated just 6kms from Nerja and provides a fantastic day trip. Frigiliana is regularly cited as being the most beautiful village in Andalucia and has consistently won awards to that effect, the Spanish tourism authority named it as one of the ‘prettiest villages in Spain,’ and Frigiliana was short-listed for the prestigious Prince of Asturias prize. A maze of cobbled streets, with meticulously maintained whitewashed houses, decorated with plant pots brimming with bougainvillea, lavender and jasmine…...looking for a postcard perfect Andalusian white-washed village? This is it. For more information on visiting Frigiliana. Situated just a few kilometres from the centre of Nerja is the Playa de Maro, Maro beach. This beach deserves a special mention in any ‘best of’ list. As recently as 2013, a poll by the Spanish television channel, Antena 3, voted Maro beach as the best in Andalucia and the second overall for the whole of Spain. Crystal clear waters, easy access and unbeatable scenery make Maro Beach a firm favourite for many. If looking for something a little quieter and more secluded, the neighbouring beach of La Caleta de Maro is a safer bet. For more information on Maro beach. The ‘Lost’ village of Acebuchal is an exceptionally beautiful hamlet situated right in the heart of the Sierras of Tejeda, Almijara and Alhama Natural Park. Visiting from Nerja makes a feasible and highly recommended outing. Only twelve kilometres from Frigiliana and sitting on the border between Frigiliana and Competa, Acebuchal feels a world away from the hustle and bustle of the Costa. It is also home to a great restaurant!! A fantastic place to have a bite to eat and to spend the afternoon. For more information on visiting the village of Acebuchal. Placed firmly in the summer itineraries of many families along the Costa del Sol is a hike up the Chillar River. The walk is increasingly popular and does get crowded at weekends. 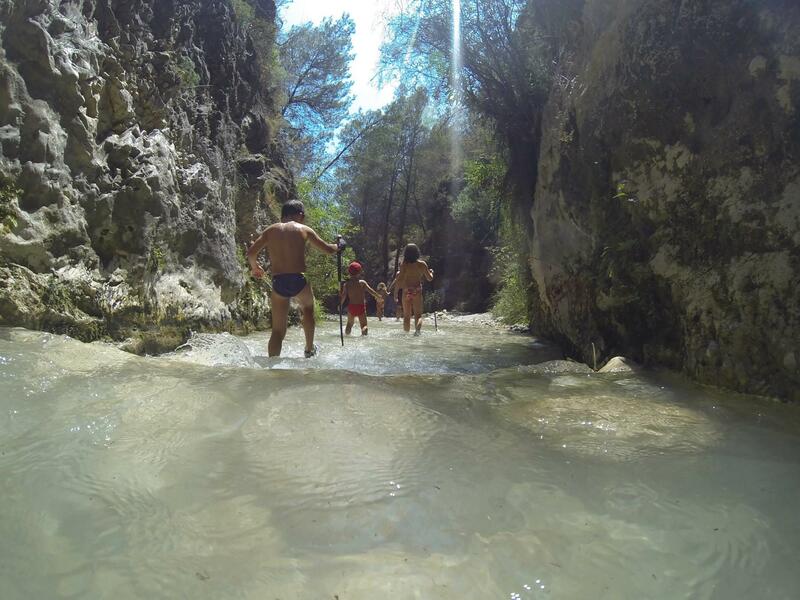 However, if looking to get off the beaches for a day and explore one Andalucia’s most beautiful rivers, the Rio Chillar walk is the one for you. For more information on walking the Chillar river. The Acueducto del Águila, the Eagle Aqueduct, is located just outside of Nerja. Constructed in the nineteenth century, it continues to be used today. A place with a fascinating history and one that deserves to be seen. The historic significance of this lasting structure has been formally recognized by the Andalucian government with its official status being listed as a Site of Special Cultural Interest. For more information on the Acueducto del Águila, Eagle Aqueduct. There are many places to have Paella in Nerja, but there's only one Ayo’s and only one Burriana beach. The winning combination of an ideal location and great food provide an undisputable location to enjoy a taste of authentic Spanish cuisine. Open 365 days a year and founded in 1969 if one man knows Paella, it’s Ayo having spent close to 50 years preparing fresh Paella (over a wood fire) on a daily basis. For more information on Burriana beach and Ayo’s. Eating out in Nerja - the best restaurants. Nerja is home to over three hundred restaurants. The choice is most definitely yours when it comes to food. Here's a selection of some of our favourite restaurants in Nerja. We carefully researched this top 10 list and cross-checked with local foodies. For more information on Nerja's 10 best restaurants.